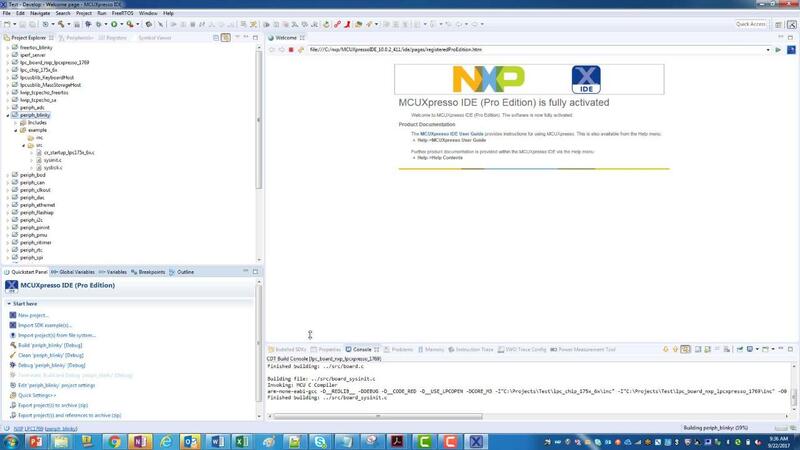 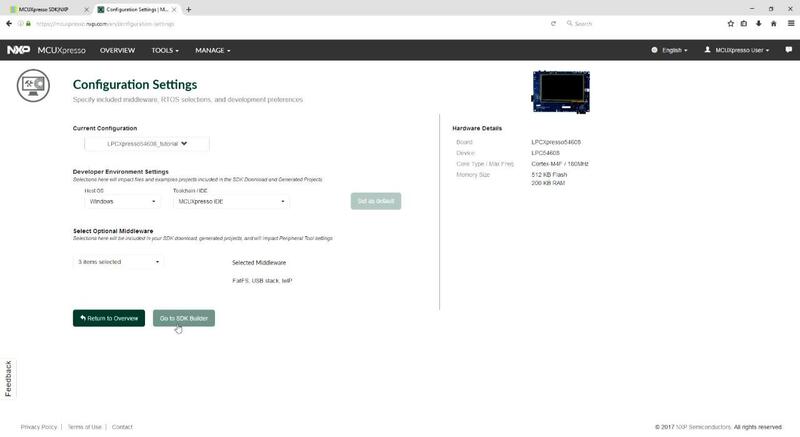 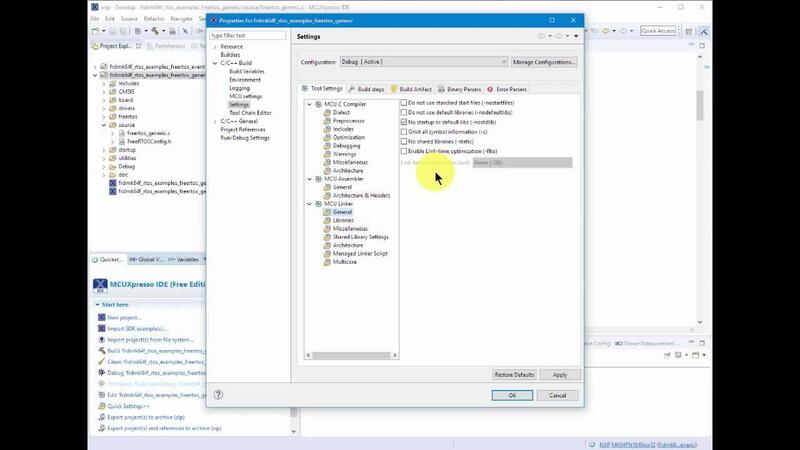 The MCUXpresso IDE brings developers an easy-to-use Eclipse-based development environment for NXP® MCUs based on Arm® Cortex®-M cores, including LPC and Kinetis® microcontrollers and i.MX RT crossover processors. 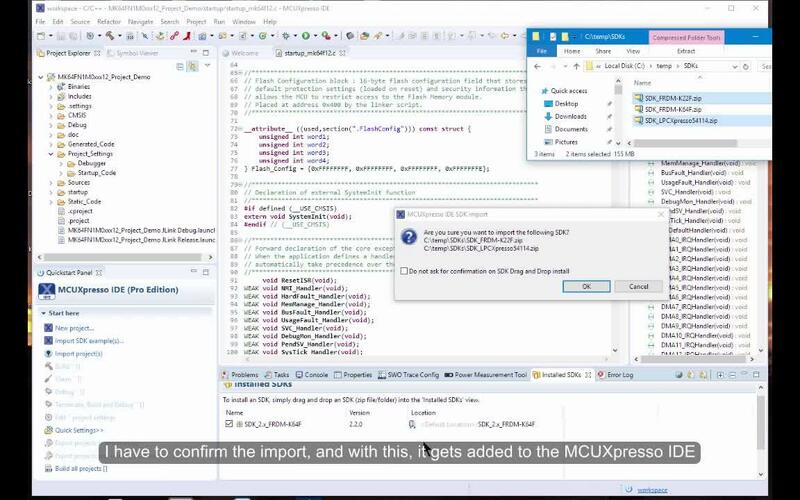 The MCUXpresso IDE offers advanced editing, compiling and debugging features with the addition of MCU-specific debugging views, code trace and profiling, multicore debugging, and integrated configuration tools. 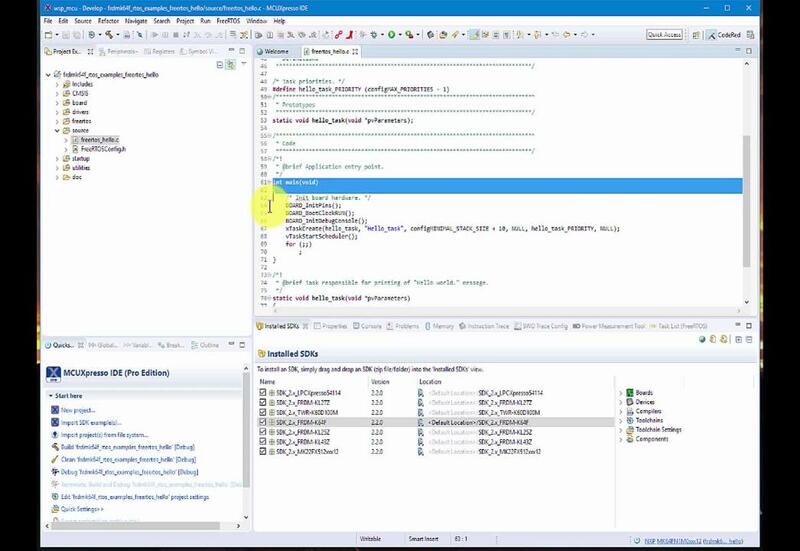 The MCUXpresso IDE debug connections support Freedom, Tower® system, LPCXpresso, i.MX RT, and your custom development boards with industry-leading open-source and commercial debug probes from NXP, P&E Micro®, and SEGGER®.